After age 55, each person’s risk of a stroke doubles every 10 years. 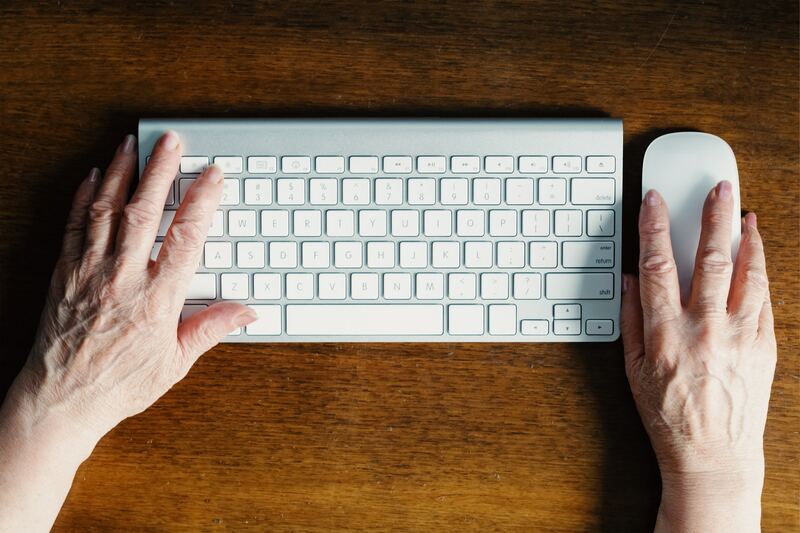 It is important that seniors and their caregivers be aware of this potentially fatal condition. 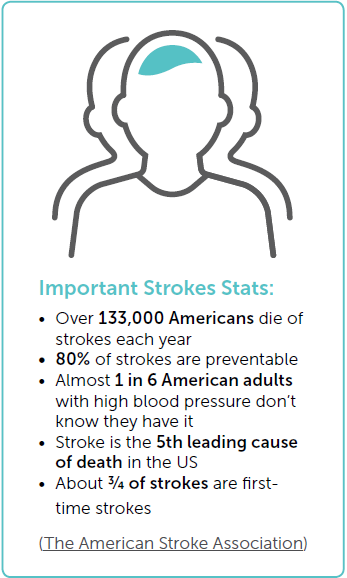 May is Stroke Awareness Month, so we thought it would be prudent to educate our community by sharing important facts, tips, and critical info to help prevent strokes and respond to strokes in the best way possible. A stroke happens when blood flow to part of the brain is cut off. If cells in the brain do not receive oxygen from this blood flow, the cells will die. These dead cells can no longer operate which means that the functions they performed are damaged or lost. 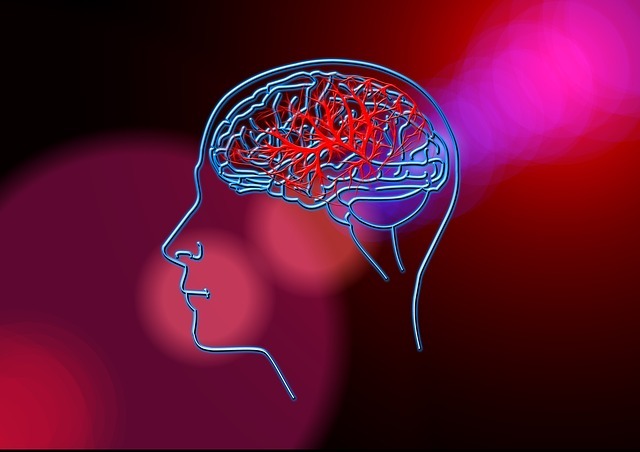 Hemorrhagic Stroke – when a blood vessel leaks in the brain or and brain aneurysm bursts. Ischemic Stroke – when a blood clot blocks a blood vessel. Transient Ischemic Attacks (TIAs) are common and considered “mini-strokes”. This happens when a blood clot causes blow flow to briefly stop. Who has the Highest Risk of Stroke? 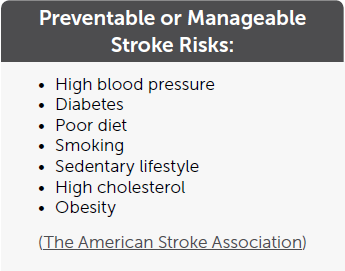 We know that with age, your risk of stroke increases, especially after 55. Studies have shown that women are more likely than men to have a stroke. Some rick factors can be prevented, managed, or reduced. People with blood or circulatory diseases, like diabetes or arterial disease, are at greater risk. As well as those with unhealthy lifestyles with obesity and lack of exercise. It is very important that a doctor diagnose and treat strokes as quickly as possible to reduce the impact and potentially save a life. Doctors use a medication called, tissue plasminogen activator (Alteplase IV r-tPA), that must be administered within 3 hours of a stroke. Doctors can also prescribe physical treatment to remove clots. Because cells in parts of the brain have been destroyed the effects are usually felt for the rest of a person’s life. Depending on what part of the brain was damaged, therapies are used to treat the disabilities for months or years after a stroke. Some common disabilities are the partial loss of a limb, elements of speech, and portions of a person’s memory. S – Speech Difficulty: Are they hard to understand, unable to speak, slurred? Ask the person to repeat a simple sentence like “The sky is blue”. Did they repeat it correctly? T – Time to Call 9-1-1: If the person shows ANY of these symptoms, even if they go away, call 9-1-1 and get them to the hospital immediately.